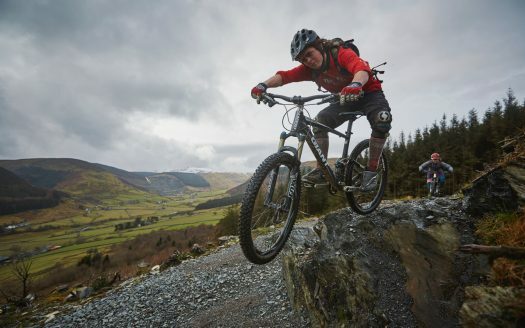 The North of Snowdonia National Park has everything from jaw dropping natural mountain biking trails along bridleways to legendary purpose-built mountain biking trails. 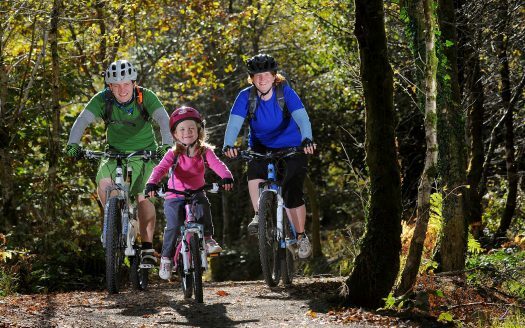 You’ll find the popular Gwydir and Penmachno trails near to the outdoor adventure hub of Betws y Coed. 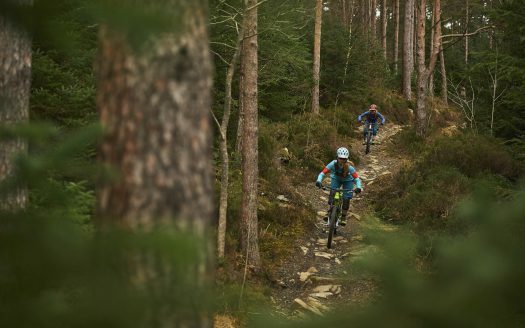 Take a relaxing ride along the Derwen or Bedwen forest road routes through Beddgelert forest, or explore hundreds of km of forest roads in the Gwydir Forest Park. Whichever you choose, cascading waterfalls, crystal clear lakes, awe-inspiring mountain vistas and forgotten river valleys deep in the North of Snowdonia provide a stunning scenic backdrop. 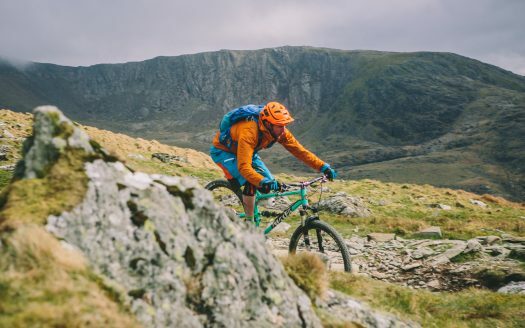 Betws y Coed is packed with cafes, restaurants, pubs and outdoor shops as well as an excellent bike shop and a wide range of accommodation in the town and local area. If you want to stretch your legs and lungs in serious scenery this is the place to come. 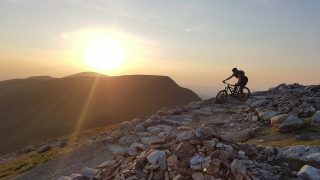 Llanberis is a great place to start and finish your ride up Snowdon, with friendly pubs and cafés and a bike shop located right on the high street. Beddgelert is a friendly little village full of culture and history, located to the South of Snowdon. You’ll find quaint cafes, restaurants and pubs and can hire bikes from the local bike shop next to the railway station near the tourist information. Make sure you come prepared as there are no trailhead facilities at the trailheads for the Gwydir, Penmachno and Beddgelert trails. There are public toilets in Betws y Coed by the train station. In Beddgelert there are public toilets open all year round and accessible toilets which require a RADAR key. There are several public toilet blocks in Llanberis open all year, and accessible toilets which require a RADAR key. Weather conditions often change quickly in this mountainous region of the park, prepare for the worst and bring some spares and tools in case of breakdown. Check out the downloadable trailcards on the trail page for more information on nearby facilities, such as toilets and car parking, refreshments, shops and bike services. Also, a quick search on our own map for nearby facilities will give you more information about accommodation, restaurants and bike services. Head for Manchester. Take M62 / M6 to M56 towards Chester. Take M53 / A55 south and west round Chester then A55 west. Branch of from the A55 following the postcodes listed below for Betws y Coed, Beddgelert and Llanberis. For the Gwydir Mawr and Gwydir Bach Trails, turn right over the historic bridge immediately after Llanrwst then right onto the B5106 and immediately left following the signs for Gwydir Mawr and Bach trail, parking in Sawbench car park. For Penmachno, from Betws y Coed, Head east on A5 toward B5106. Turn right to stay on A5, turn right at B4406, turn right at Newgate. Head for Birmingham and then take M6 north. Turn west onto M54 past Telford. Take A5 round Shrewsbury and Oswestry. Follow A5 west at Chirk, through Llangollen to Betws y Coed. For the Gwydir Mawr and Gwydir Bach trails, head west through Betws y Coed, turning right over a narrow bridge in the centre of the town. Follow the B5106 north towards Llanrwst for 4km and then follow the Gwydir Mawr and Bach signs to the left up to Sawbench car park. Betws y Coed has its own railway station. For rail details call 08457 484950. Sat Nav/GPS/Mapping Services: LL24 0YP (this is the nearest postcode, however, it won’t take you to the trailhead, so please follow the directions above once you get into the village!). Get to the summit of Yr Wyddfa (a.k.a Snowdon) along this 11.5 mile / 18.5 km route.